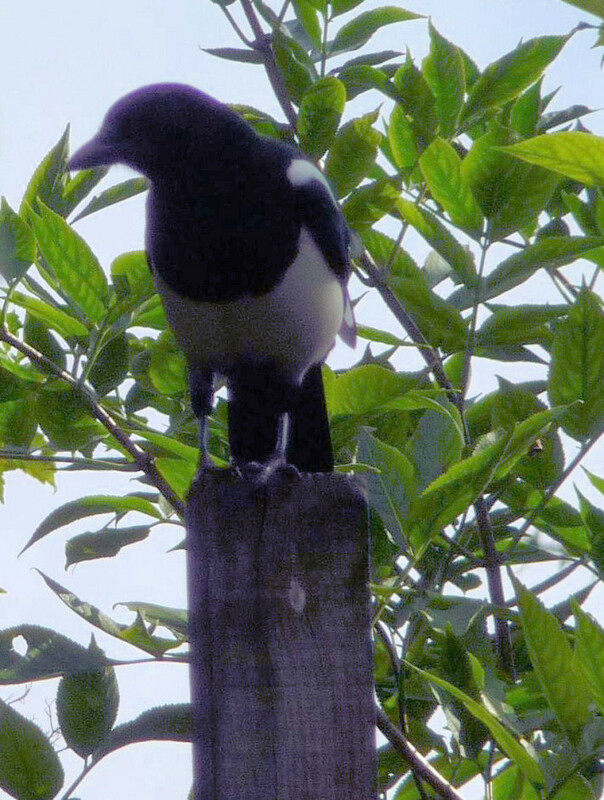 In our small garden Magpies are feared & respected by the other birds. These smaller members of the Crow family are at the top of the pecking order. We see them in the surrounding trees & shrubbery, as they are too large for our feeders. But they have landed on the roof of the garden flat in snowy weather, bouncing across it for soaked bread, grated cheese & cooked rice. The omnivore Magpie’s diet includes wild fruits (our Damson plums), berries, insects, spiders & worms. But other birds fear for their own eggs & chicks when a Magpie appears. 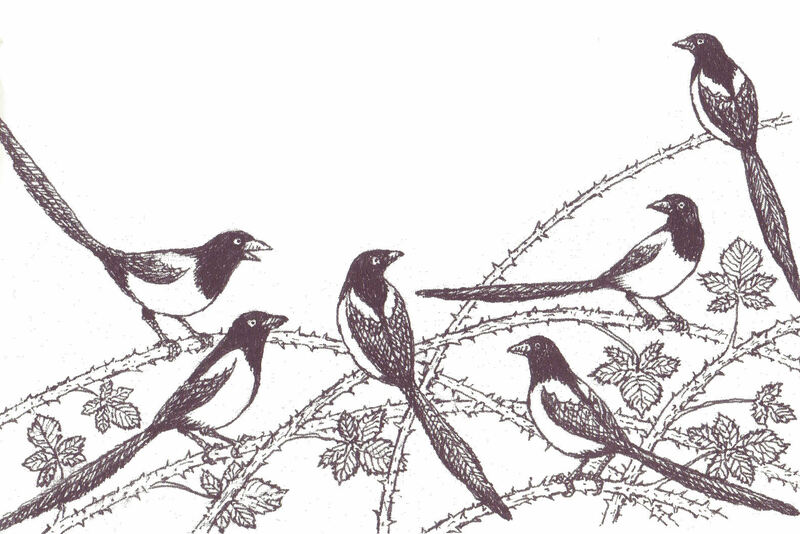 Suddenly small birds are pelting out of the trees, leaving the Magpie alone in the garden. 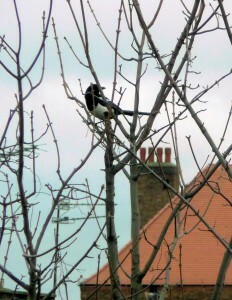 Magpies rattle & chatter, practicing mimicry of other birds. Their appearance is like that of some Birds of Paradise, with their iridescent plumage, exceptionally long tail & quirky flight. They mate for life & are said to gather together to grieve when one of them dies. Seeing a single Magpie is now considered bad luck : ‘One for sorrow, two for joy, three for a girl, four for a boy, five for silver, six for gold, seven for a secret never to be told.’ At sight of a Magpie, one is advised to bow & doff one’s hat to it, greet it & wish its family well, to ward off any bad luck. These birds were called pyes until the 16th century, when the prefix ‘mag’ (chatterer) was added. 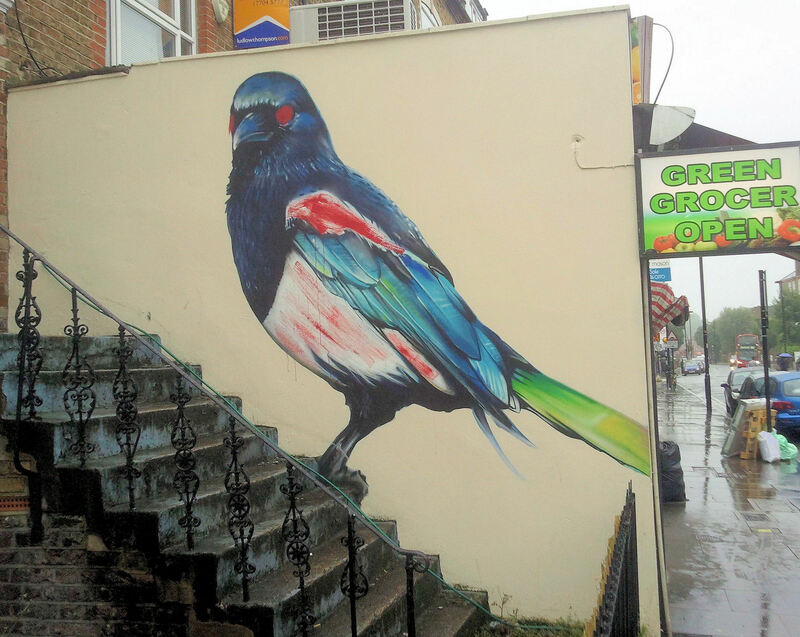 ‘In recent years, unlike other species, their numbers have increased & they are often seen in our parks, gathering in large flocks of up to 20 birds, known as ‘parliaments’.